When most people think of Belize, there are a few things that consistently come to mind. You might imagine welcoming people, gorgeous beaches, sunny skies, lush green jungles or even bustling and colorful local markets. What you might not instinctively think of, however, is archeology. The Mayan civilization settled in what we now known as Belize as early 1500 BC, and they flourished there until as late as 12000 AD. Without recorded history, it has long been hard for researchers, historians and anthropologists to imagine daily life for this historic people. Today, thanks to the recent discovery of the Marco Gonzales site, it is possible to get a full view of life for ancient Mayans that once called Belize home. The Marco Gonzales Archeological Site is located on Ambergris Caye. The total size of the ruins is approximately 600 feet by 1,150 feet, but within that space there are a number of unique structures. Because the area is surrounded by mangroves and is at a low elevation just three feet above sea level, many scholars believe that the site was once substantially larger than it is today. The Marco Gonzales Protected Site is made up of 49 different structures, and walls protect and surround many of them. 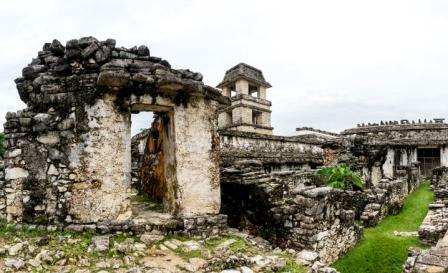 There are central plazas, religious buildings and private residences, but there are no pyramids like those that have been found in similar Mayan ruins. Human bones, pottery shards and other artifacts are strewn throughout the area and have worked their way into the topsoil over the past 2,000 years. There is no confirmed explanation for the abrupt departure of the Mayans who lived in the area, but changing sea levels and the encroachment of mangroves may have played a role. If you were to ask local, long-term residents of Ambergris Caye about the discovery of the Marco Gonzales Mayan Site, they might tell you that locals have always known of its location. However, the full scope of the ruins were not revealed until an excavation began in 1984 by archeologists Dr. Elizabeth Graham and Dr. David Pendergast. The site's name of Marco Gonzales was established to honor the local guide that helped the archeologists locate the ruins. The ruins of Marco Gonzales are exceptionally easy to explore, particularly for travelers who are already visiting or living on the island of Ambergris Caye, which is located just off the mainland coast of Belize. San Pedro, the major town on Ambergris Caye, is just five miles north of Marco Gonzales. Upon arrival, which can be by bus or taxi from San Pedro, visitors will be able to take a guided tour of the entire site. Tours are delivered in English, and you can pick between a tour with a historic emphasis or even a tour that focuses on the birds, plants and animals that live in the area. An educational center offers lectures and hands-on learning for children, and all visitors should take the opportunity to check out the on-site Visitor Center. In the Visitor Center, you can see renditions of the structures as they stood two millennia ago and admire exhibits depicting everyday life for those ancient Mayans. If you are interested in history and you want to learn more about the past, then don't miss a visit to the Marco Gonzales Protected Mayan Site on Ambergris Caye, Belize. Find out more about the many wonderful ways to explore and enjoy Ambergris Caye, Belize.